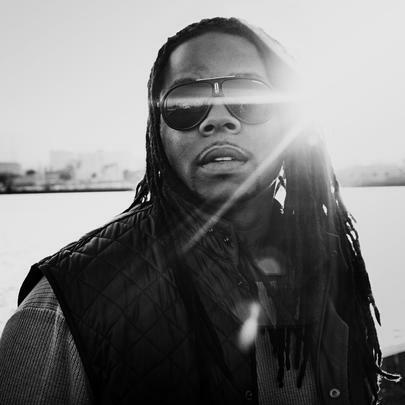 King Louie (not to be confused with the fictional character from Disney's animated adaptation of Rudyard Kipling's The Jungle Book), is an emerging emcee from Illinois. Throughout his young career, he's collaborated with 2 Chainz, Lil Durk, Chief Keef, Lil Bibby, Lil Herb, Kanye West, Katie Got Bandz, DJ Victorious, Twista, SD, Fredo Santana, Soulja Boy, Rockie Fresh, Bo Deal, Trouble, Chin Chilla Meek, Shawnna and many more, having released a total of nine mixtapes to date. Most recently, he was accused of setting up a videotaped assault of a woman for publicity, and released his Drilluminati 2 mixtape (December 2013). Stay tuned for updates on Louie's career, y'all. Although he's a Chicago representative through and through, King L was raised in Champaign, Illinois. King Louie attended Illinois' Corkery Elementary, Myra Bradwell Academy and Hyde Park Academy. He's been credited with helping the Chicago rap scene pop off in 2012. King Louie's mother struggled with drug addiction throughout his youth. Fellow Illinois emcee Impressive inspired him to pursue a hip-hop career. Stream Taylor Bennett's Debut Album "Broad Shoulders"